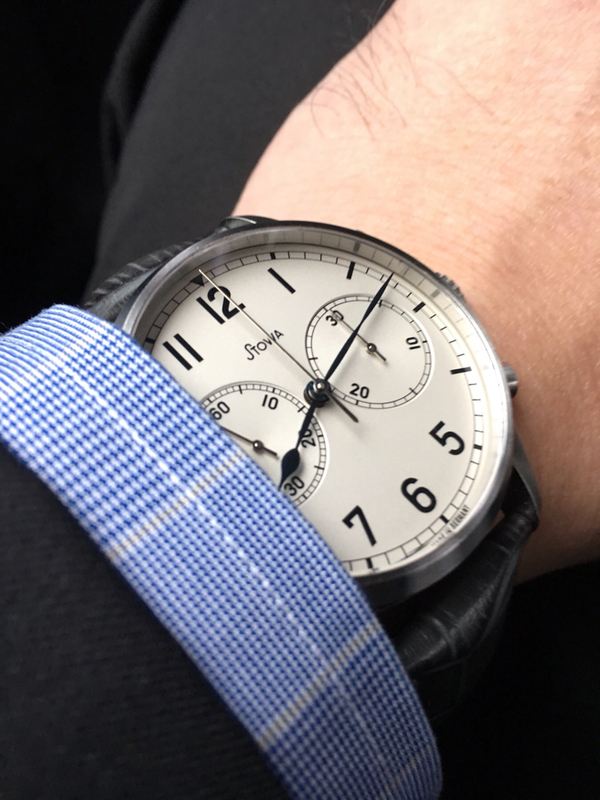 View Poll Results: Which Stowa Chronograph to buy? wkw and iceman767 like this. Would you get the automatic version or manual wind which is less thick I guess and the movement is nicer to see...? miquel99 and TgeekB like this. A wise man once said don't invest all your fortunes in wrist watches. For where your treasure is, there your heart will be also. I’m a lucky owner of different chronograph models from Stowa and I like them all. I spent approximately 60% wrist time on the marine, 30% on cream 1938 and 10% on the black one. Slm643, iceman767, miquel99 and 2 others like this. I’d probably go with the black 1938. I dislike how many numerals are missing from the Marine model, it kind of clashes with the deck watch aesthetic for me. Good luck with whatever you choose I’m sure you’ll love it! I have the black 1938 as well as a few other Stowas. Can’t go wrong with any of them. Thanks for the feedback everyone, very much appreciated. In the end, I had to make a tough decision and grabbed the Longines that I had been considering alongside the Stowa. Brand new Longines Master Collection Chronograph L27594783 for about half of what the Stowa would have cost. Considering I'd been torn between the two at similar prices this was too good to pass up. I've always wanted to try a column wheel chronograph as well. 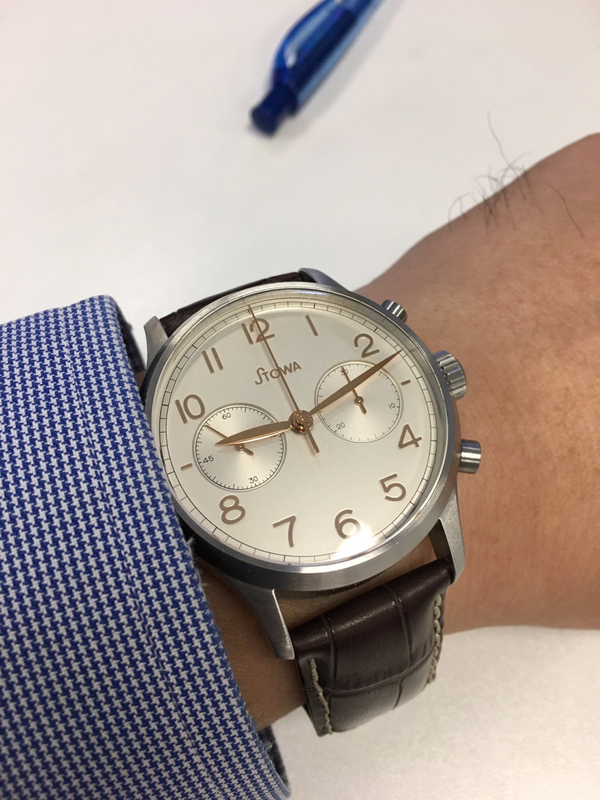 However, after some of the wrist shots and comments above I think long term there's a Stowa Marine Chrono in my future. Can't remember who asked it, but when it happens I'll definitely be picking up the manual wind model, no date. 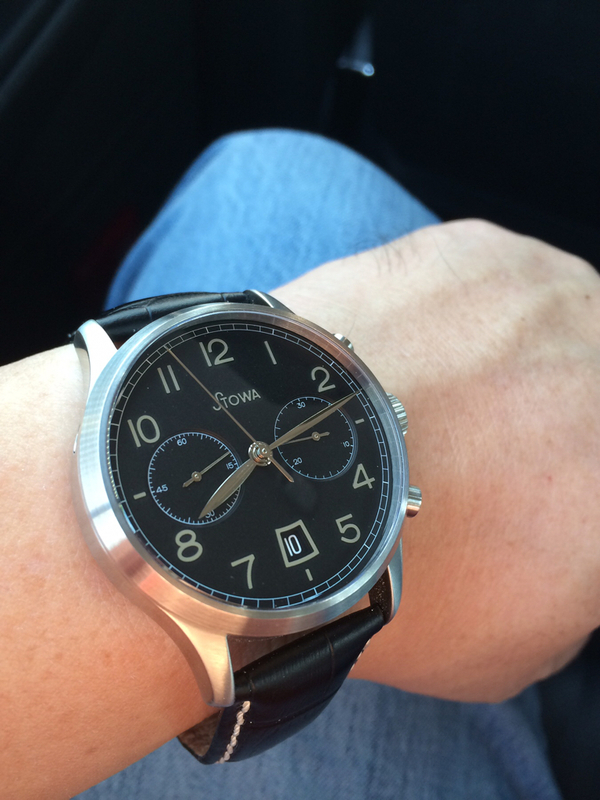 I did get some interesting feedback from Stowa on the manual wind versions of the marine chrono. Might be common knowledge here, but I assumed if you ordered a hand winder they based it on an existing manual wind movement with a few modifications. Turns out it's actually a Valjoux 7753 that's had the auto winding mechanism taken out and hand winding installed. Pretty interesting. I agree! Used to have a 7750 based Tissot and would sit at my desk wobbling my wrist just to hear the "zzzzzip". Gotta love it. Need some feedback guys, not looking for flames!